The WCNA has replaced the missing Spanish-American War Plaque on the Rockery. 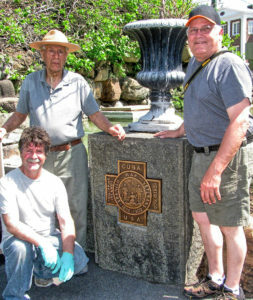 To learn more about the history of the Plaque click here. Above: Skylight Studios’ craftsmen create silicone mold of Everett’s Spanish-American War memorial plaque.